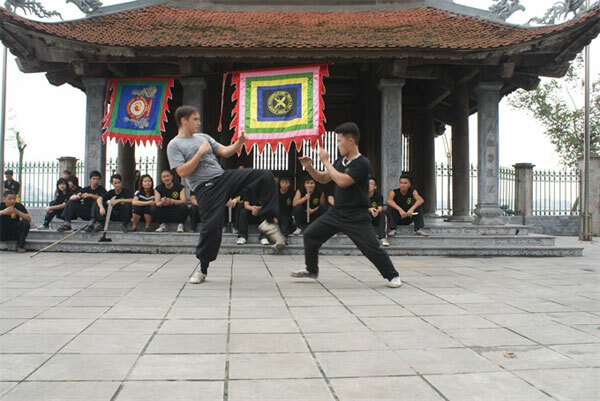 VietNamNet Bridge – Traditional Vietnamese martial arts can reveal more about local history, culture and language to foreigners daring enough to try them. Augustus John Roe, from Brighton, the UK, is certainly daring. 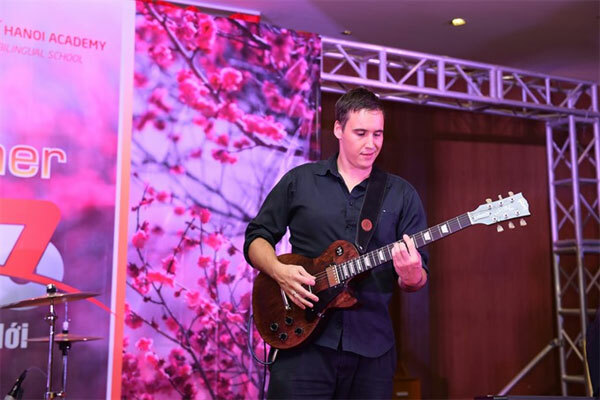 Over the past nine years, he has lived in Vietnam, fathered two daughters in his happy family, found a stable job as an English teacher at an international school in Hanoi and gathered a comprehensive stock of knowledge on Vietnamese martial arts and culture. Roe first came to the country in 2010 to visit a friend, who worked as an English teacher and practised Tai Chi. He started to study, too. Roe (left) teaches a class in Hanoi. 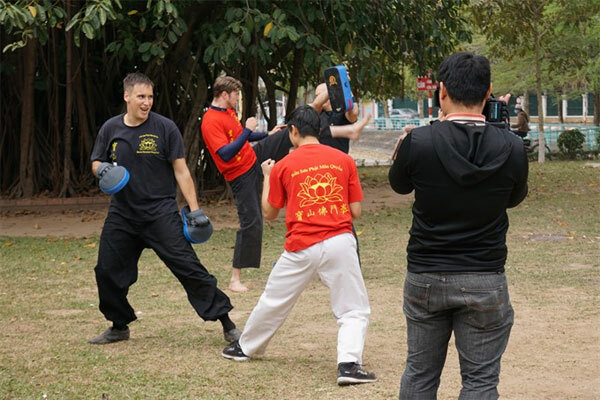 Roe has tried various styles of Vietnamese martial arts over the years, including vovinam, Binh Dinh regional martial arts, traditional wrestling, Nhat Nam style, Nam Hong Son style and Seven Mountains region martial arts. “They all have interesting and unique aspects but my favourite style has to be the one I learnt from my master - a Buddhist martial art from the Seven Mountains region in An Giang Province called Bửu Sơn Phật Môn Quyền which translates as ‘Dharma Mountain Martial Arts’,” he told Việt Nam News. While learning different styles of martial arts, Roe realised that although numerous and varied, there was very little information about them available, and virtually nothing in English. He decided to compile a book, The Martial Arts of Vietnam - An Overview of the History and Style, which took him nearly two years to finish. Roe practises every day on his own. The main difficulty he faced when writing the book was during the initial research phase was the lack of English materials on the subject. Often he would have just the name of a village or person, then he would go there and ask around until someone could point him in the right direction. The book looks at Vietnamese styles based on three regions, the north, the central and the southern region. “Historically, there have been lots of different influences in each region so the diversity in practices from location to location is very interesting,” he said. Roe found that Vietnamese martial arts are unique for several reasons. “Firstly the environment has played a big role in their development, due to aspects like the mountainous terrain and thick forests, movements often appear less-linear than in other styles of Chinese or Japanese martial arts,” he said. “Secondly, the physicality of the practitioners has been an important factor. 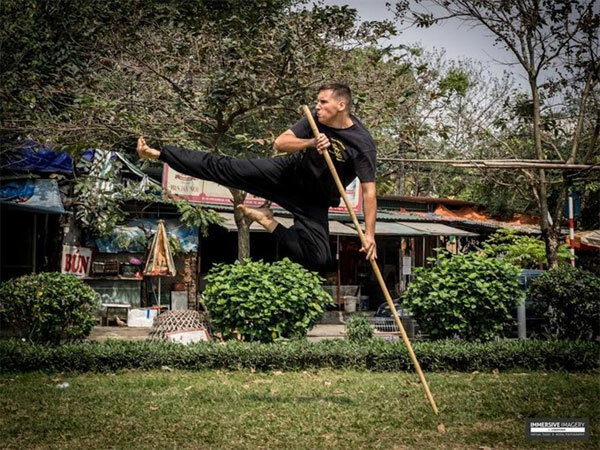 Vietnamese styles are often very dynamic with a lot of high jumps and low stances. This makes things more difficult for practitioners like me who have a weight advantage but don’t have the speed of a smaller body-type. “Finally, the cultural and historical aspects of Vietnamese martial arts are different - patriotism and religious aspects all combine to create a unique martial culture,” he said. 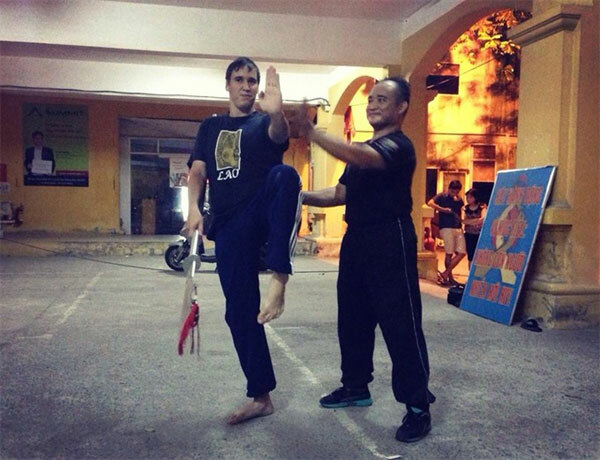 Roe (left) spars with a student of traditional Vietnamese Wing Chun. Roe drew the lessons based on his experience practising various martial arts such as judo and taekwon do at a young age. Then at university, he continued with some Chinese styles of kung fu. Roe said he practises every day on his own, teaches self-defence classes for young women and regularly joins competitions and sparring exchanges to keep his skills sharp. Roe said he loves living in Hanoi, but the pollution and disregard for the environment are problems. “Although things are improving at a tremendous speed and with many new programmes focused on the environment, I hope this is something that can be implemented on a society-wide scale,” he said. Roe also plays various instruments like guitar, drums, bass and a little piano. Vietnamese nature is one of his favourite aspects of the country, followed closely by the coffee culture. Roe said he hopes to continue his training in Vietnamese martial arts and keep spreading the practices. “I am also going to release an action-adventure novel called Where Tigers Roam,” he said.